Beautiful Gavin Doherty dress for slim 10-11 year old, only 5 months old and worn around 7 times. 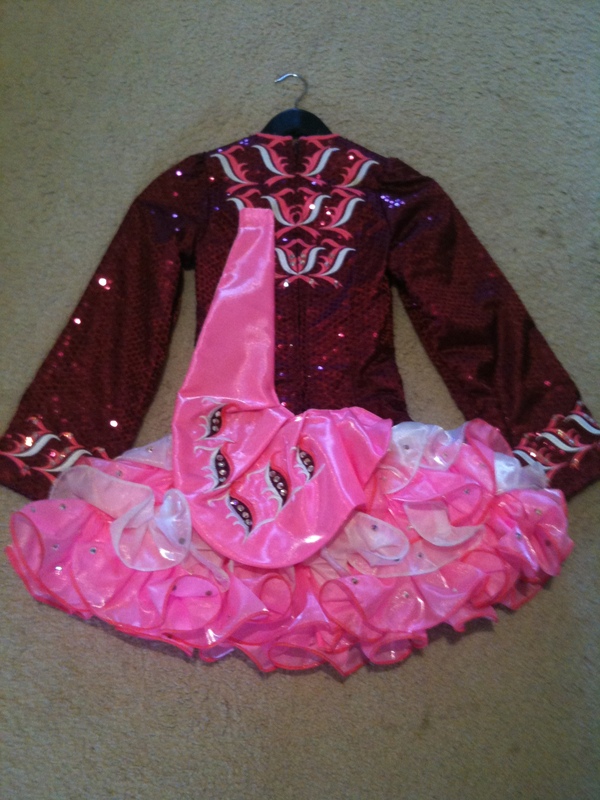 Selling because dancer will have no more feisanna until March 2011, by which time she will have outgrown this gorgeous dress. 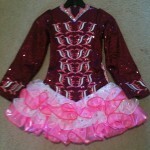 Dress is burgundy sequin, white and pink, very feminine and pretty. 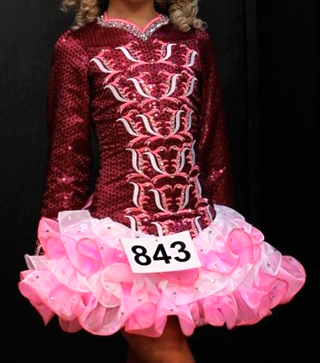 There are hundreds of Swarovski crystals on the dress, including the neckline, bodice and throughout the skirt. 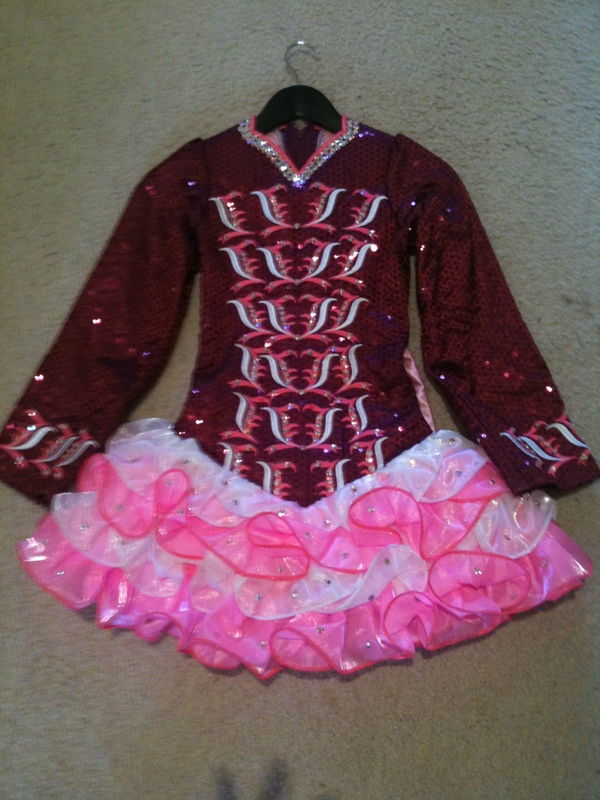 Dress sparkles on stage and dancer has received many compliments. The dress sits beautifully on the dancer and is lightweight. It is so beautifully made with the dropped waist and soft layered skirt that is very modern and movement whilst dancing is minimal. 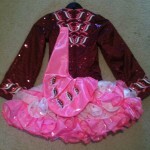 Dancer has had much success this year and we personally feel that the dress has contributed to that success. The dress is in excellent condition and has always been stored carefully and in a smoke free home (treated like a piece of gold!). Bloomers are included (underskirt and bloomers are white).Available for immediate shipping. Will be shipped by express courier trackable international shipping which usually takes around 5/6 days to US/UK. There is about 1 inch let out at each side seam and also 1.5 inch let down on the bodice. Asking Price: $AUD1500. Shipping costs are included in the asking price for worldwide shipping. Returns are negotiable.